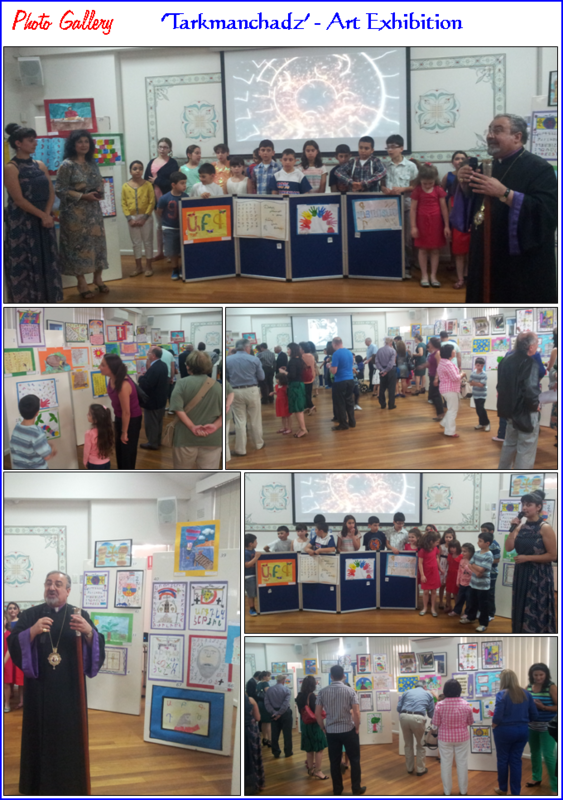 It was gratifying to see so many of our students and their families at the opening ceremony of the Children’s Art Exhibition on Saturday (19/10/13) evening. The exhibition for primary-aged children on the ‘Feast of the Holy Translators’ was organised by the coordinators of the ‘Sunday School’. It was under the auspices of His Grace Bishop Haigazoun Najarian, Primate of the Diocese of the Armenian Church. 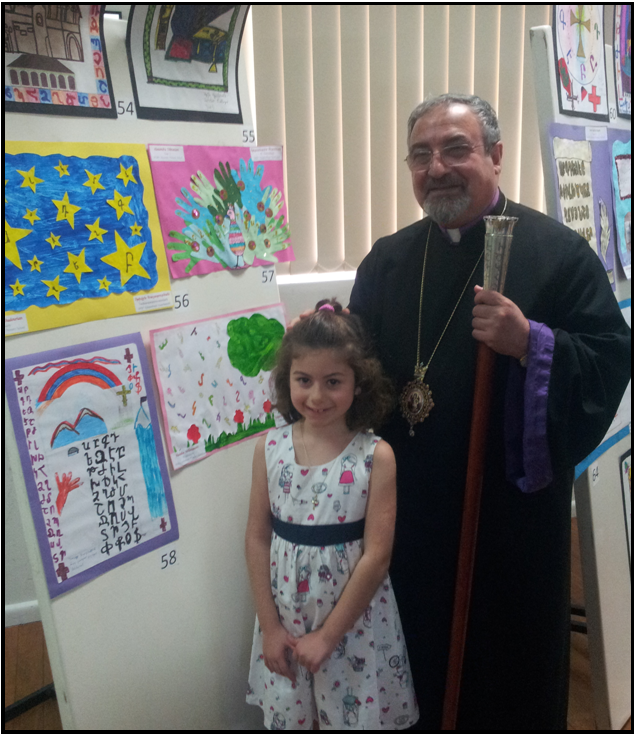 Students had contributed individual artwork depicting the essence of the Armenian Alphabet and the founding fathers. After the opening of the curtain to unveil the wonderful art display in the Edgarian Hall, His Grace spoke warmly about the children and what they had produced. He was keen to talk to them and discover their thoughts and reasoning as to how, what and why they had produced their wonderful pieces of artwork in the way they had. Guests had the opportunity to walk around and observe all the creative drawings, praising the children and encouraging them to continue producing wonderful pieces of art. The exhibition was on display until the following day.